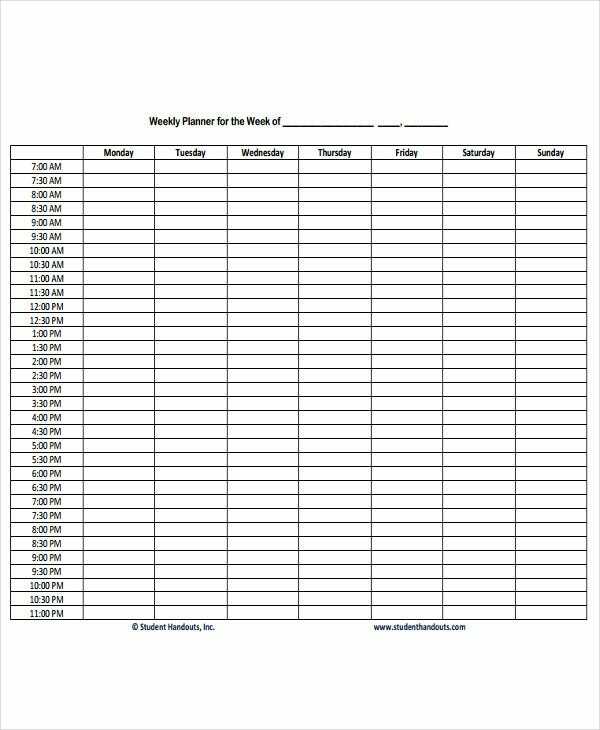 No organized person has gotten to the level of control and efficiency they now enjoy without using a Calendar Template of some sort or another. 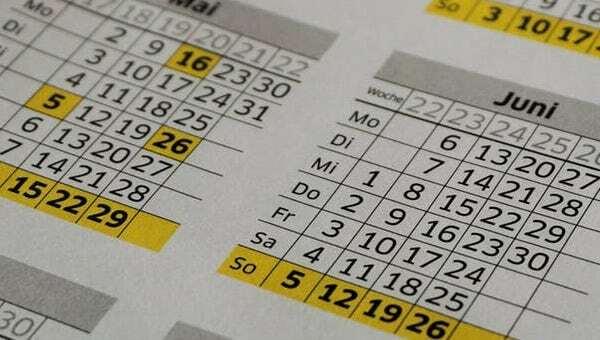 Many people think calendars are what you use to remind yourself of some event or appointment on a particular day. 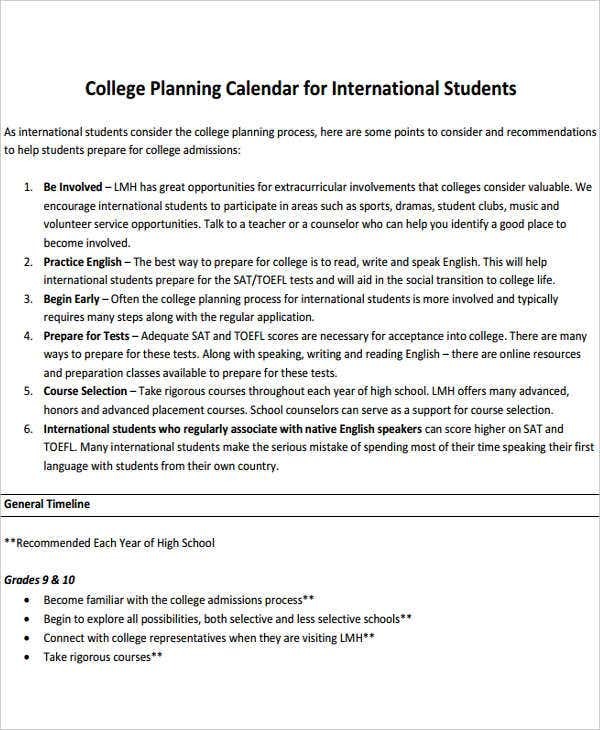 Many don’t take advantage of the fact that a calendar can be used to plan ahead. If you’re about to tackle some wieldy project or just want to streamline your life, look through these free calendar templates for something to help you. Some will be PDF examples to inspire your own calendar, and others will be blank templates you can download and print out for free. It’s a grand promise, but it is one that is more accessible than you think. Calendars are probably the most flexible devices in your array of productivity tools. 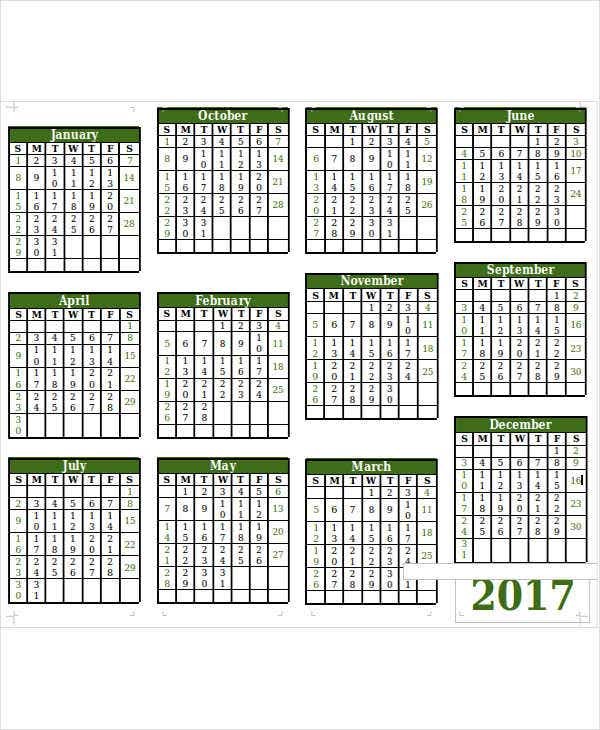 You can take a Blank Calendar Template and turn it into a Holiday Calendar Template, where you are looking forward to what each day will bring. 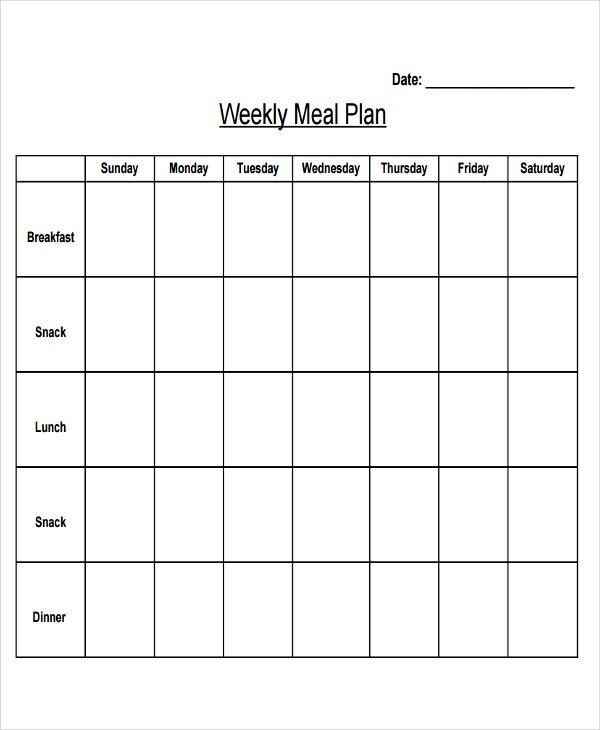 Take care of your health and get rid of the grocery stresses by using the Weekly Meal Planning Calendar Template. This allows you to lay out the meals and snacks for the week in advance, so you know what to put on your shopping cart. Especially helpful for those on special diets. You might also like the Weekly Planning Calendar Template. The hourly format allows you to block out appointments for the week and find useful “gaps” you can use for other tasks. 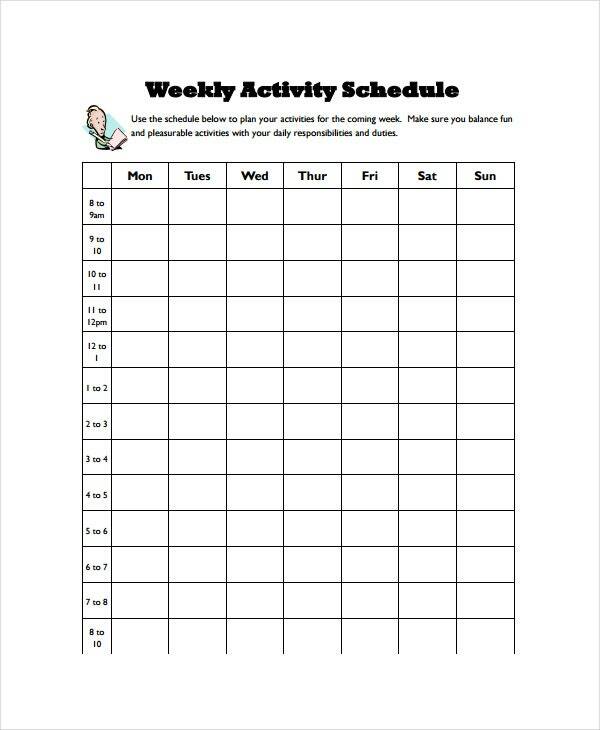 Also see Weekly Activity Planning Calendar Template. 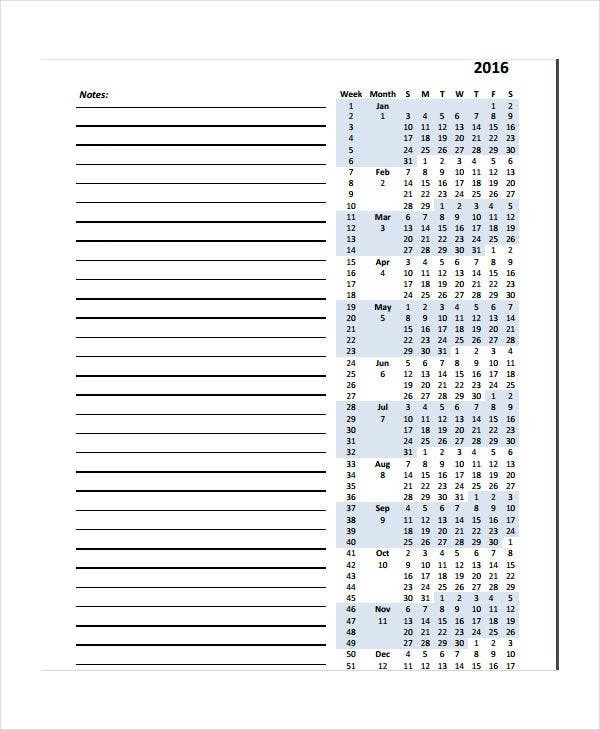 Think long term and remember everyone’s birthdays with the Yearly Planning Calendar Template. 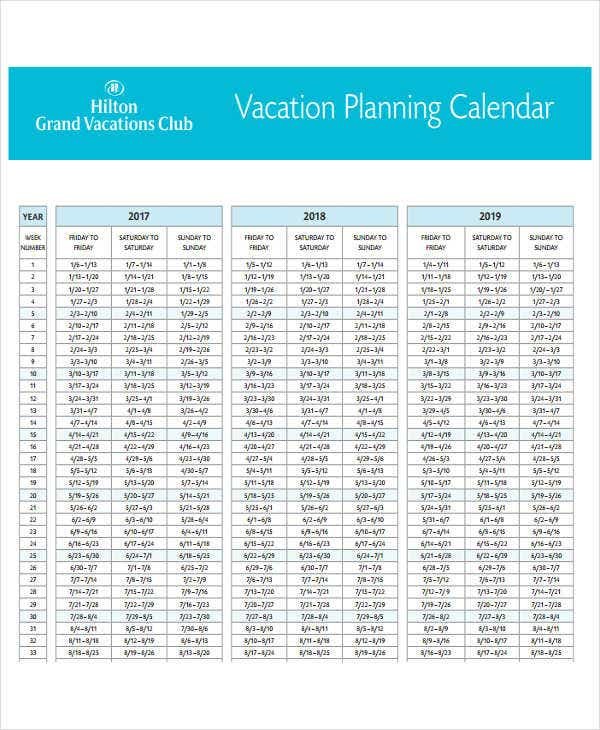 On a smaller time scale you might like the Monthly Planning Calendar Template instead. Download this stylish blank template before 2017 is halfway over! If you’re managing a long-term project, an outline such as the Project Planning Calendar Template will make a good accompaniment to all your project notes and analyses and reports, to get a broad sweep of the timeline and check your progress. 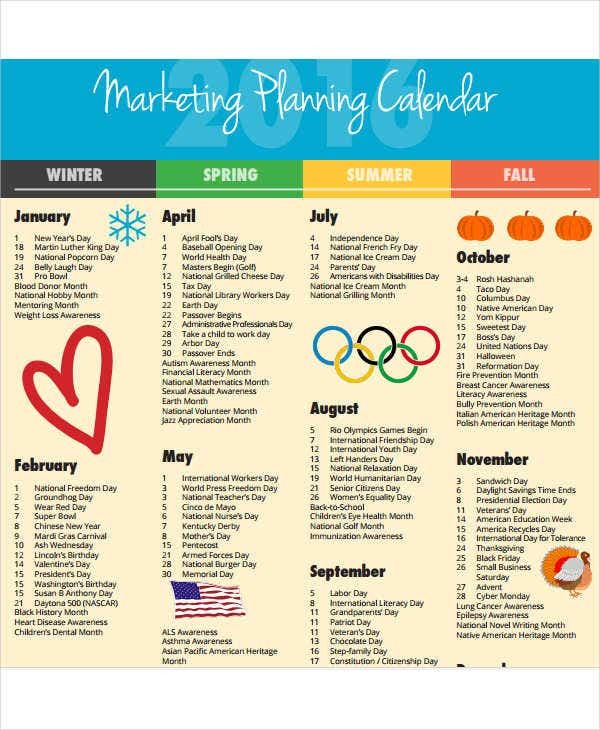 Marketing consultants will like the Marketing Planning Calendar Template, which allows you to tweak your strategies and be more responsive to different seasons and events. 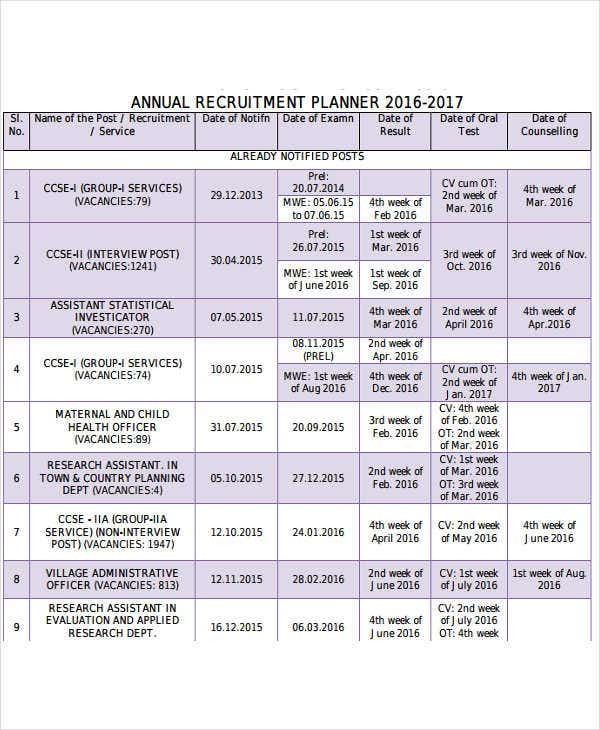 If you have to juggle different elements with developing stages as all part of an ongoing project, the Annual Recruitment Planning Calendar Template offers you one smart technique. Try to replicate this in Microsoft Excel. Smaller projects like events will have their own special timelines distributed throughout a year. 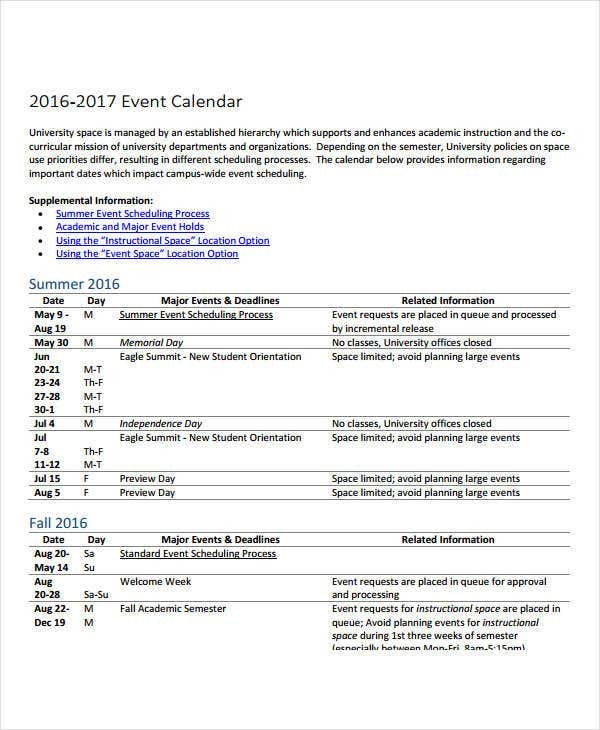 See the Event Planning Calendar Template for one organized example. All these free samples show you that a planning calendar does not have to take a specific layout. It can be tailored to represent different lengths of time and certain focus areas. You can take a blank calendar and turn it into an Event Calendar Template if you have the right principles in mind. Search out our archives for even more free, customizable, and specialized calendar templates to help get your life in control.